Lida, far left, with SHE Investments trainees. One of SHE’s most popular services is Ngeay Ngeay, which means “easy easy” in Khmer, the language spoken by most Cambodians. Ngeay Ngeay is a free web portal that helps informal businesses run by women to formally register. The U.S. Agency for International Development-funded Development Innovations (DI) project, implemented by DAI, supported the creation of Ngeay Ngeay with an innovation grant in 2017; the site launched in August of the same year. Since then, the site has seen more than 60,000 page views and 13,000 unique visitors, and a deluge of direct requests from women entrepreneurs for deeper assistance with registration. As a result of the portal’s popularity, SHE is preparing to scale up the platform to include an e-learning component and full-service registration consulting, two additions in response to direct user feedback that will improve the long-term sustainability of the service. In addition to e-learning and registration consulting, improvements to Ngeay Ngeay will allow SHE to introduce an aspect of direct-tech advisory for their clients, helping improve their business operations and communications capability. According to Celia Boyd, Lida’s co-founder at SHE, “Introducing business owners to tools and technology that are actually relevant for them and tailored to their unique systems will ensure that appropriate tech is incorporated into their business environment.” Two examples of this type of direct advisory support are 1) an introduction to Bahnji, an ultra-simple accounting tool developed for small businesses in Cambodia and 2) the development of a basic social media training for entrepreneurs in a country where Facebook is the most widely used communication tool. 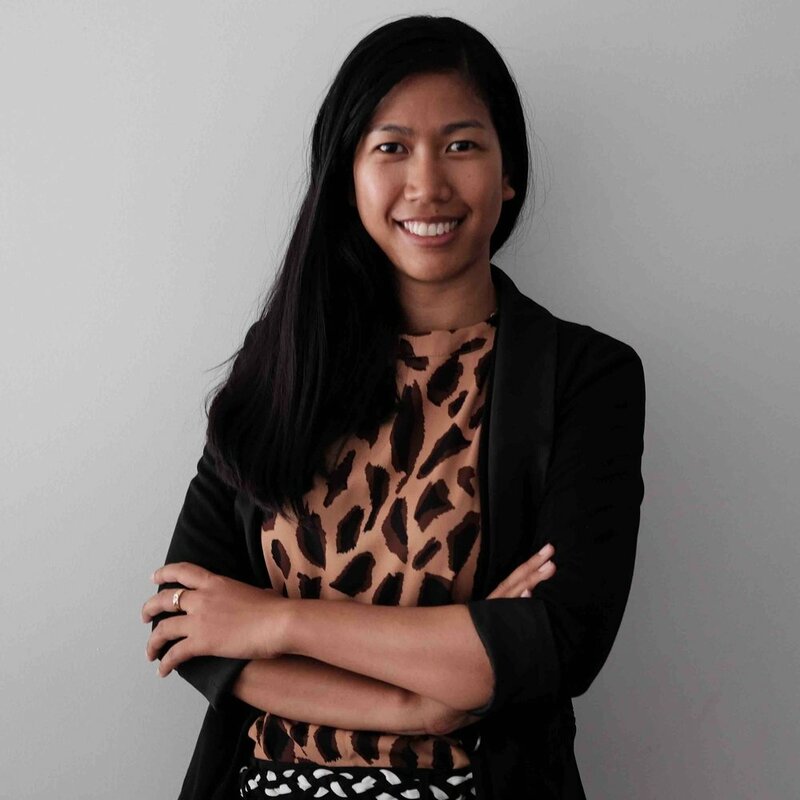 Beyond SHE Investments and the Ngeay Ngeay portal, DI is also running one of Cambodia’s most successful women’s economic empowerment programs: the Technovation Challenge. Technovation was launched by Google in 2009 to help girls, aged 10-18, around the world to learn business, leadership, and basic coding skills. The competition is run annually and was launched in Cambodia by the DI project team in 2014. Since then, Technovation Cambodia has trained more than 400 girls to solve problems in their communities through a 12-week curriculum and national pitch competition. 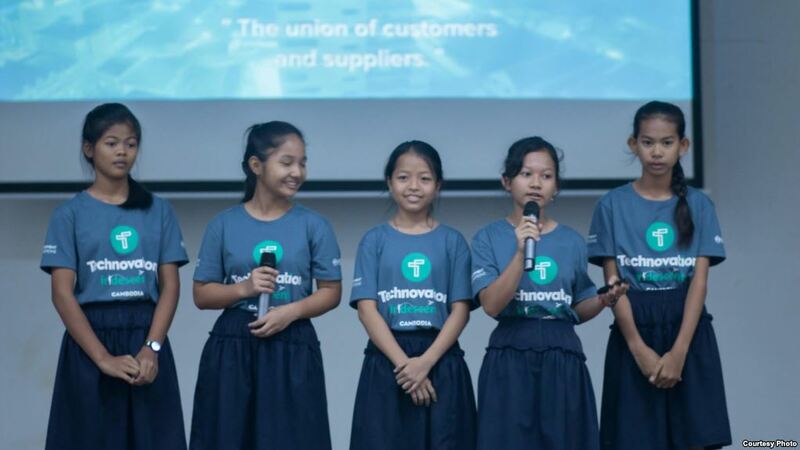 A pitch from the Technovation 2018 competition in Cambodia. In 2017, a group of Cambodian 11- and 12-year-old girls was chosen as one of six finalist groups from a pool of more than 1,000 around the world. The group traveled to Silicon Valley to pitch their concept, Cambodia Identity Product. The experience not only was valuable for the team members as aspiring techies and entrepreneurs, but also they became an example to other young girls of what’s possible if you work hard and challenge yourself. To build on the success of Team Cambodia Identity Product during Technovation 2017, and to elevate science, technology, engineering, and math (STEM) subjects in the minds of Cambodian girls, DI introduced the ‘I Am Rachana’ campaign in time for Technovation 2018. Originally developed as an exercise in building a hologram avatar, Rachana “lives” on social media and promotes girls’ participation in STEM-related events, education, and careers by highlighting women entrepreneurs, scientists, and engineers as role models. The DI project runs through August 2019 and continues to empower women like Lida, her clients, and the Cambodia Identity Product team to build businesses and tech tools to solve problems in their communities. For more on what the project is doing today, and how you can be a part of it, check out the project’s Facebook page or join their email list.